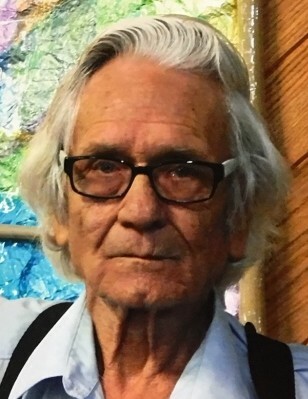 Roy Eugene Cowsert, age 77 of Paris, TN, died Sunday, February 10, 2019, at Henry County Medical Center in Paris, TN. Roy retired after 10 years from Dana Corporation as a machinist and line operator. He was a member of Christ Lutheran Church in Paris. He enjoyed watching game shows, fishing, puzzles, and spending time with his family. Roy was born February 19, 1941, in Matthews, MO, to the late Delmar Lee Cowsert and the late Claudia Maxine Bohanan Cowsert. He was married February 22, 1974, to Frances Jean Cowsert, who preceded him in death on December 28, 2017. He is survived by two daughters, Crystal (Kenneth) Morgan of Paris, TN, and Patricia (Scott) Kunath of Paris, TN; two sons, Vince (Cathy) Floyed of South Roxana, IL, and Kelly Floyed of Alton, IL; one sister, Teresa Fuhr Hatfield of Flint, MI; one brother, Jim Fuhr of Kansas City, MO; one sister-in-law, Anna Ellis of Imperial, MO; thirteen grandchildren; eighteen great grandchildren; several nieces, nephews, great nieces, and great nephews of Michigan; and several aunts, uncles, nieces, nephews, and cousins of Matthews, MO, and Sikeston, MO. Arrangements will be handled by Ridgeway Funeral Home, 201 Dunlap St., Paris, TN, 38242. Visitation will be Sunday, February 17, 2019, from 1:00 pm to 4:00 pm at Ridgeway Funeral Home. Following visitation his body is to be cremated. A Celebration of Life service will be held Sunday, February 24, 2019 at 10:30 am at Christ Lutheran Church, with Luther Hasz officiating. Memorials may be made to: Christ Lutheran Church, Hwy 79 South, Paris, TN, 38242.